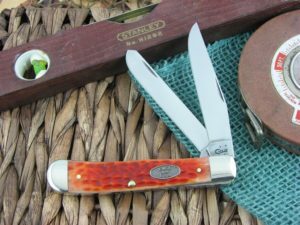 This is the Case Knives Barlow, has Turquoise Curly Maple Wood handles and Brass liners. The blade steel is TruSharp and finish is Polished. *Our opinion: The pull is a 5. The Case effort on this run as compared to their entire catalog is 8. Action (walk) is 4 on a scale of 1-5, with 5 being gator snap. Spring Pressure is 3.2 lbs. Not sure how many Barlow knives I have altogether, but it’s getting close to 50. The Case Turquoise Curly Maple Barlow has great fit and finish. I wouldn’t say the blades are perfectly centered, but close enough. You can see a little more daylight between liners and springs than on some others. 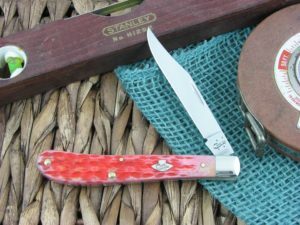 It has thinner bolsters than most other Barlow knives and is much thinner and lighter overall. 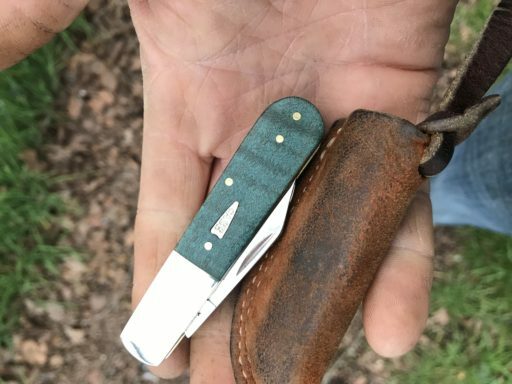 It’s a beautiful knife and I’m glad I bought it. 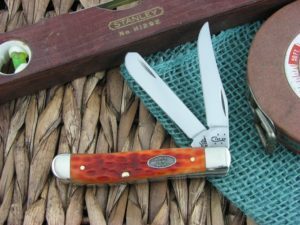 I’ve been caught up in the GEC craze lately and this is the first new case knife I have purchased in a couple of years. Out of the box I was so pleased. 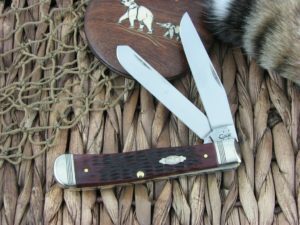 Craftsmanship is excellent and the finish is fantastic. Solid half-stop, everything is dead center and good snap. Tuned up the edge and went straight to my pocket for EDC.